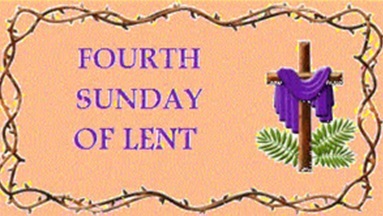 Holy Week includes the last of the 40 Days of Lent, the Sacred Paschal Triduum, and Easter Sunday of the Resurrection of the Lord. These are the holiest days of the year and the annual celebration of the sacred mysteries through which we are saved from sin and death and restored to the glory of the children of God. Traditionally during Holy Week, all the priests in the diocese will gather with the Bishop at the altar of the Cathedral Church of St. Joseph in Sioux Falls. We renew the promises of our priestly ordination, and the Bishop will bless the three Holy Oils that are used throughout the year in the celebration of the sacraments. On Maundy Thursday of the Lord’s Supper (this year in Hoven), we will celebrate a Solemn Mass in the evening to recall Christ’s gifts to the Church of the Priesthood and the Holy Eucharist. Then the Most Blessed Sacrament will be carried to a place of repose and the altar will be stripped — signs of the impending grief to come. On Good Friday of the Passion of the Lord, we will meditate on the suffering and death of the Lord Jesus as recorded in the Gospel according to St. John, and then we will adore the Holy Cross on which hung the salvation of the world. Then, in the night of Holy Saturday (again, in Hoven), we will keep the Vigil of the Resurrection of the Lord. The whole plan of salvation will be unfolded in Holy Scripture, and the sacraments of Holy Baptism, Confirmation, and the Eucharist will reveal the glory of the Risen Christ in our midst. Finally, at Mass on Easter Sunday, all the baptized will renew the promises of their Baptism so that we may rededicate ourselves to follow Christ in the Holy Catholic Church. But all that lies ahead. 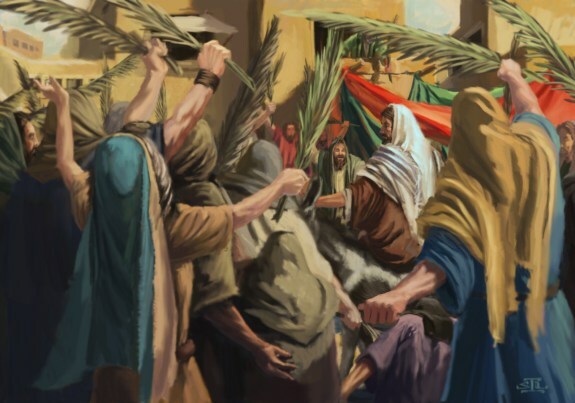 For now, let us acclaim Christ: Hosanna to the Son of David; blessed is he who comes in the name of the Lord, the King of Israel. Hosanna in the highest. This entry was posted on March 18, 2016, in Uncategorized. This week we celebrate the lives of three men of great importance to the Church. Thursday is the memorial of St. Patrick (died 461), who brought Christianity to Ireland. Then Friday is the memorial of St. Cyril of Jerusalem (died 386), who became Bishop of the Holy City in 348 and is remembered for brilliant catechetical essays and homilies on the sacred liturgy and the sacraments. And Saturday is the Solemnity of St. Joseph: Spouse of the Virgin Mary; Foster Father of the Lord Jesus; and Patron of the Universal Church! In 1997, NBC and the Wall Street Journal conducted a national poll on the place of religion in the lives of Americans, and that same poll was conducted in 2014. In 1997, 14% of Americans reported that religion was “not that important” in their lives, and in 2014 the number of those who gave that same answer has risen to 21%. This falling away from religion is an illustration of what is often called secularization — the trend away from a worldview formed by religious faith towards one in which religion has no place or only a marginal place, and it cuts across all segments of our society. When confronted with this trend, too many Christians begin to look for ways to make the Gospel and the Church “more attractive” by trying to change the Mass, the doctrine of the faith, our organizational forms (like marriage), etc. But such a response to secularization assumes that we are offering a product in the marketplace and that to increase our market share. Like the line is the movie Sister Act with Whoopi Goldberg – we just need to tweak the product line and get better advertising. To think that way is to reveal that one has not heard and understood the Gospel of Jesus Christ, Who promised us that we would be opposed, rejected and persecuted just as He was. By our Baptism we are called to friendship with the Jesus and a share in His Cross. During this Year of Mercy, we should remember more keenly than ever – Christ sends us in the Great Commission to continue His work among the nations by proclaiming the Gospel, celebrating the Sacraments and caring for the least of His brethren until the Last Day. Want to resist the trend of secularization? Invite someone to come with you to Mass. Ask a friend to pray the rosary with you. Invite someone the Eucharistic Adoration. Give a good book about our faith to a neighbor or colleague who is searching for … well, for something or Someone not yet known. Volunteer to serve someone in need. This is how we proclaim the Gospel. This entry was posted on March 15, 2016, in Uncategorized. The veiling of sacred images during Passiontide is a custom with roots in Christian antiquity, and it prepares us for the great sundering of Christ’s atoning death. But even in Passiontide, stained glass windows and the Stations of the Cross remain visible, and these artistic catechisms can teach us a great deal about the dignity and difficulty of being disciples of the Lord Jesus. This is true in any Catholic church, but it is most especially true in St. Anthony and St. Augustine where we are blessed with sacred art of great beauty and power. Running through the nave are the Fourteen Stations of the Cross, a devotion made popular by St. Francis of Assisi in the 13th century. (Interestingly enough, St. Francis made popular the tradition making of the Nativity Scene at Christmas too.) At a time when Christians could not travel safely to Jerusalem because the Holy City was under Islamic rule, St. Francis devised a simple method for Christians to follow the Lord Jesus in the Way of the Cross in their own churches. The fourteen traditional stops or stations on the Via Dolorosa are depicted in works of art that invite pilgrims to pause and pray while meditating on Christ’s passion and atoning death on the Cross. We adore You, O Christ, and we praise You … because by Your holy Cross You have redeemed the world! This entry was posted on March 4, 2016, in Uncategorized. Before my priestly ordination, I traveled back by car from the East Coast. Driving through Pennsylvania, I met “the Amish” for the first time. The Amish, was a community formed in the 17th century by a schism within the Mennonite movement in Switzerland. They are best known for their radical separation from the world: they will not use modern technology, they dress differently from their neighbors, they cease formal schooling after the 8th grade, they refuse to serve in the armed forces, they will not participate in Social Security or purchase medical insurance, and so forth. These behaviors are regarded as odd by most people, and with good reason: Such a way of life is not required by the Gospel, and in many ways it is contrary to the Gospel. And that is why Catholics cannot live like the Amish. We do not dress differently than our neighbors. We do not fear technology or the benefits of modern science. We do not separate ourselves in politics, commerce, education, military service, or civic responsibility from those who do not share our faith. And we do not do these things because to do so would make it impossible for us to fulfill the Great Commission: “Go therefore and make disciples of all nations, baptizing them in the name of the Father and of the Son and of the Holy Spirit, teaching them to observe all that I have commanded you; and behold, I am with you always, to the close of the age.” (Matthew 28. 18-20) We are called to be salt and light in the world, not to hide behind a barricade for fear that we will be polluted. Are we living as the “soul of the world”? This entry was posted on February 27, 2016, in Uncategorized. 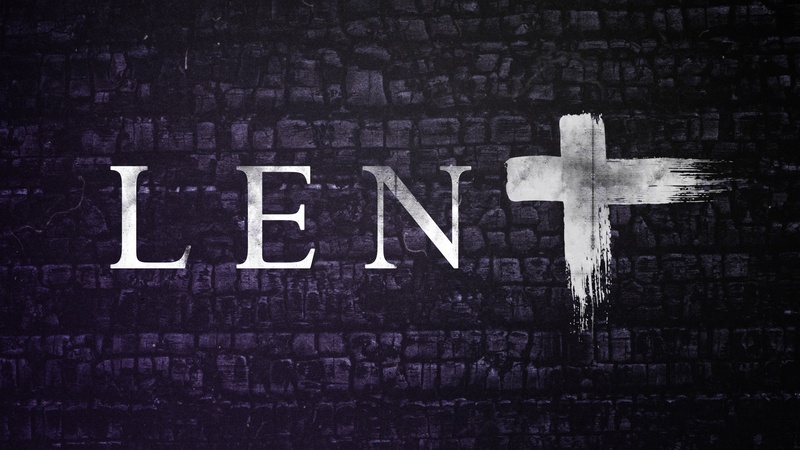 The etymology of the word “Lent” is inspiring … going to what we celebrate for over 40 days as a Christian church. 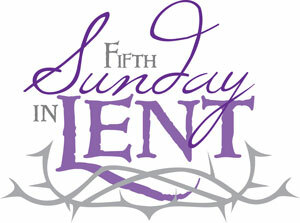 “Lent” comes from the old English “Lencten”, meaning, “Early Spring” or “Spring Coming”. As such, it is a special time for prayer, sacrifice, almsgiving and fasting as Scripture invites a Christian to live with seasons of more intense spiritual work, on the one hand, and times of festivity on the other (eg: Hebrews 12). The purpose of Lent is to have us exercise spiritual muscles, we haven’t used for awhile (a Early Spring training … if you like). The goal is to demonstrate not only to the world; but also, to actualize faith in ourselves … we can control and sacrifice worldly desires and wants to God and for God’s sake. By doing so, we prepare for the lean times that may present themselves in a soul’s lifetime. When I have a loss … when I experience desolations and emptiness … when I am seriously hurt (or a member of the family is hurt) … when I am challenged by things of this world – my practices in Lent train me to know how temporary these situations actually are. I learn I can and do endure for the sake of something greater than myself. Having Jesus as our Model and Guide at Lent, we realize as Christians, He is able to transfigure this world (and our lives) for the greater glory of God. 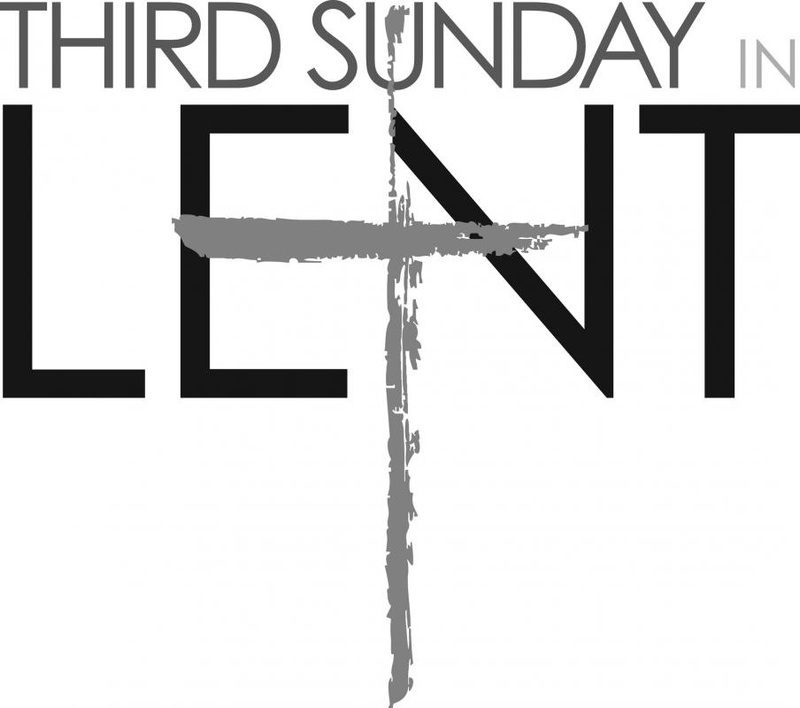 When a soul prepares well: a good Lenten practice will make for a good Holy Week celebration. 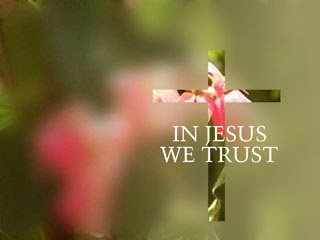 A good Holy Week celebration then makes for a wonder filled Easter Season. And, remembering that God will never be out done in love – I can tell you – when Easter comes around … WOW ! I discover how wonderful a treat the item that was sacrificed, when returned to me at Easter, is a great and true blessing. This entry was posted on February 12, 2016, in Uncategorized. Well … first things first. What is so unusual about a Jubilee Year? We’ve seen several special “years” in the Church. (You may remember the Year of Faith in 2012–13.) But an Extraordinary Jubilee is, as the name implies, something special. The tradition of “jubilee” has its roots in the Old Testament, where the People of Israel would, every fifty years, were to remember God’s mercy for them and that they were to extend mercy and forgiveness to others (not only for slights against them, but even monetary debts). All hurts were required to be forgotten and never thought (or brought up again). As the people would want God to forgive and forget … so it would be the same with the People of Israel. This tradition has continued in the Catholic Church, where every 25 years a jubilee (or holy year) is called. The most recent was the Jubilee Year 2000 to mark the beginning of the new millennium. An extraordinary jubilee occurs outside that normal 25 year cycle and is called to direct our attention to a particular event or theme. Why Pope Francis call for this Extraordinary Jubilee of Mercy? Our days can often be filled with experiences of division between friends and strangers, family and co-workers, and even within our Church. This spiritual cancer , of course, necessarily translates and reflects our “Christian World”. More than ever our world needs mercy today, as seen in the frightening events of mass shootings and terrorism, war and rumors of war, and the incredible and unprecedented plight of millions of refugees from the war-torn Middle East. Our own country seems more polarized and divided than ever over the most fundamental questions of life, family, and freedom. Pope Francis has called us to step back, to recollect ourselves and consider God’s work of mercy in our own lives … how He has extended forgiveness to us and blessings for us … and … in return … how we have and might still offer mercy and kindness to others. Over the course of the Holy Year of Mercy, let’s use this space to offer suggestions for how we can seek mercy for ourselves and our loved ones and offer mercy to others. A good start is the corporal and spiritual works of mercy. We’ll be expanding on the meaning of those works of mercy as well as other ways to live out the Jubilee of Mercy. This entry was posted on January 19, 2016, in Uncategorized. As Christmas now ends, we take a moment to reflect on how Christmas bring us to the crib of Jesus. We are claimed for Christ and His Kingdom at baptism. The vast majority of Christians, including almost all Catholics, are baptized when they are infants, and this is most fitting. The sacraments are instruments of God’s grace, and even newborn babies need the grace of God. Moreover, as the Catechism of the Catholic Church puts it, “The sheer gratuitousness of the grace of salvation is particularly manifest in infant Baptism,” and for this reason: “The practice of infant Baptism is an immemorial tradition of the Church.” (CCC 1250, 1252). But along with the indisputable benefits of baptizing infants comes a special danger: those who are baptized before the beginning of memory will have no recollection or understanding of the most important day in their lives. Unless they receive the Gospel with saving faith and the meaning of their Baptism is explained to them as they grow, then they will not know that they have been born again of water and the Holy Spirit and have been made children of God, members of Christ and heirs of the Kingdom. 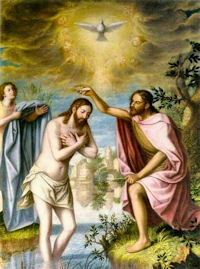 So, as John the Baptist recognizes Jesus as the Son of God, parents and god parents are reminded at each baptism: “You have asked to have your child baptized. In doing so you are accepting the responsibility of training him (her) in the practice of the faith. It will be your duty to bring him (her) up to keep God’s commandments as Christ taught us, by loving God and our neighbor. Do you clearly understand what you are undertaking?” And, the parents respond in this faith: “We do.” In other words, as Jesus begins His ministry at His baptism … the parents (and god parents) begin their ministry in perpetuating the faith until He comes again. This entry was posted on January 8, 2016, in Uncategorized.